This striking coastal seaport city is the largest in the Pacific Northwest. However, rather than a big city feel it's more relaxed than Los Angeles or San Francisco, with an alternative and laid back vibe. The birthplace of Jimi Hendrix and home of rock band Nirvana, Seattle is a cultural hub known for its music and arts scene, with a progressive and multicultural atmosphere. 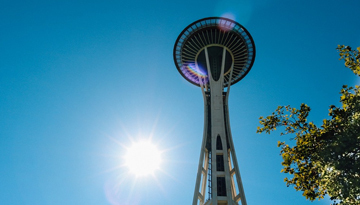 Attractions include the iconic Space Needle where you'll get a spectacular panoramic view of the city's skyline, and the beautiful boardwalk in the Waterfront port area - great for a stroll and a meal. For a bit of history, check out Pioneer Square, where Seattle's founders settled in 1852. 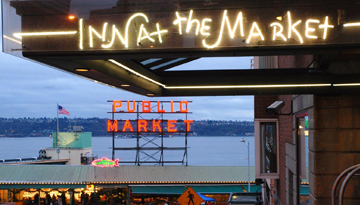 Don't miss Pike Place market where you'll be spoiled for choice with the abundance of cafes, restaurants and bars including the world's first Starbuck's and a range of micro brew pubs serving locally brewed beer and ales. If you're interested in the outdoors, Seattle has plenty to offer including hiking, boating and skiing due to its position between ocean, mountains and lakes. Discover Cheap flights to Seattle from Heathrow with these economy class offers at £384 return. Inn at the Market – perfect location for exploring the city with 4 star accommodation. 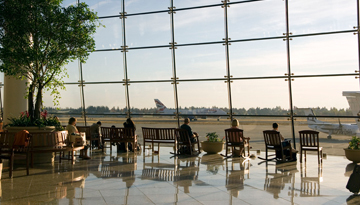 Fly from London - Seattle & Stay for 6 nights with 2 star accommodation. Room only.